Who is the Mexican President? 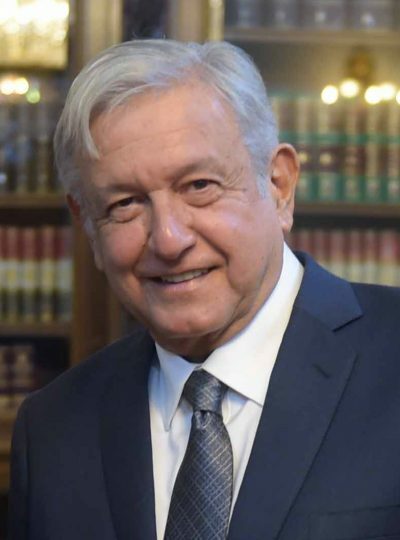 The current Mexican president is Andres Manuel Lopez Obrador, also referred to as AMLO. He assumed the presidency on December 1, 2018, and is the 58th President of Mexico. The term for Mexican presidents is 6 years and there is no reelection. Andres Manuel Lopez Obrador was born on November 13, 1953 in Tepetitán, Tabasco, Mexico. Before being elected President of Mexico, Andres Manuel Lopez Obrador was the governor of the City of Mexico. Andres Manuel Lopez Obrador won the elections with 53% of the vote, a landslide victory.